This dam will be the largest of its type in the world with a storage volume of 1.5GL. REE’s specialist expertise has enabled us to optimise some of the main features that are common to these designs, (e.g. the anchor trench which stops the geomembrane from being pulled out as a result of wind uplift) further enhancing the outcome for our clients. This is achieved through further development of existing theories and applying our team’s experience to make the designs safer and reduce construction costs. One of the first major tasks was completed in January; namely, the geotechnical investigation, which comprised test pitting and sampling for laboratory testing. 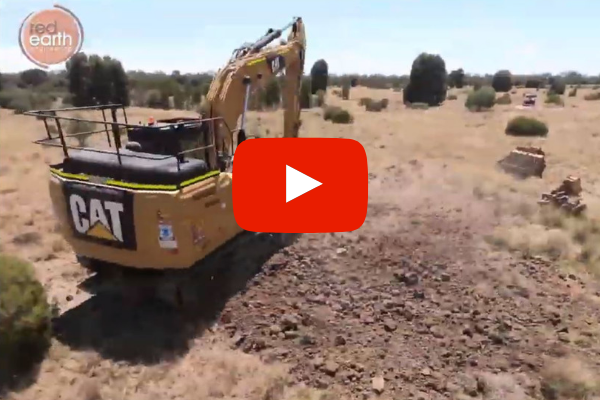 Click the video to see one of the geotechnical test-pits undertaken for the proposed facility. If you’re looking for specialist design and construction oversight please contact us.